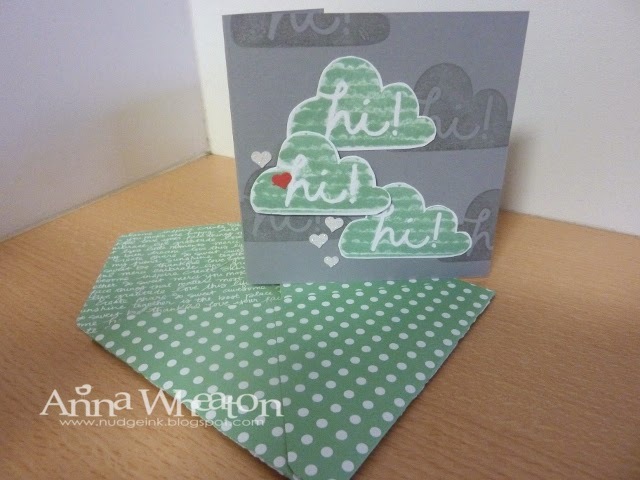 Nudge Nudge Ink Ink: Convention Make and Takes - Stampin' Up! We think you're great! Convention Make and Takes - Stampin' Up! 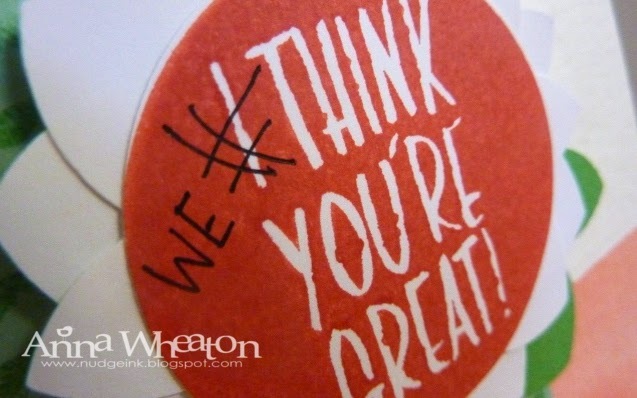 We think you're great! We have had a fantastic time at Stampin' Up! Convention. It was an exciting and inspiring three days! Stampin' Up! know how to put on a great event and they didn't disappoint this year. 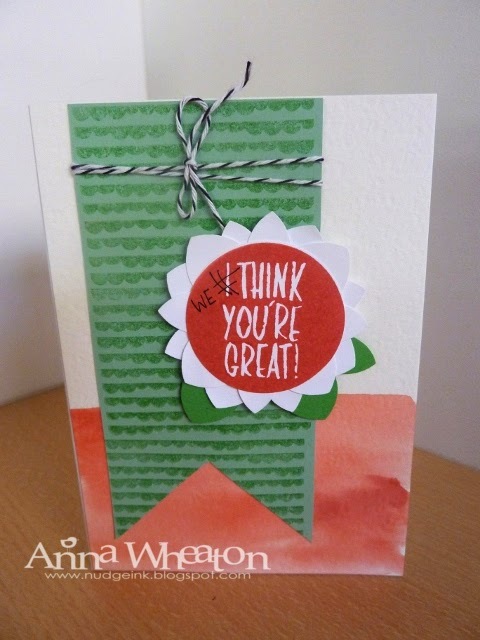 There are always some make and takes using new stamp sets and products. We all received this stamp set - I Think You're Great. I have crossed out the 'I' and written in 'we' because this is going to a team member who missed Convention. The stamp set is designed especially for a technique called kissing. A stamping technique that is. 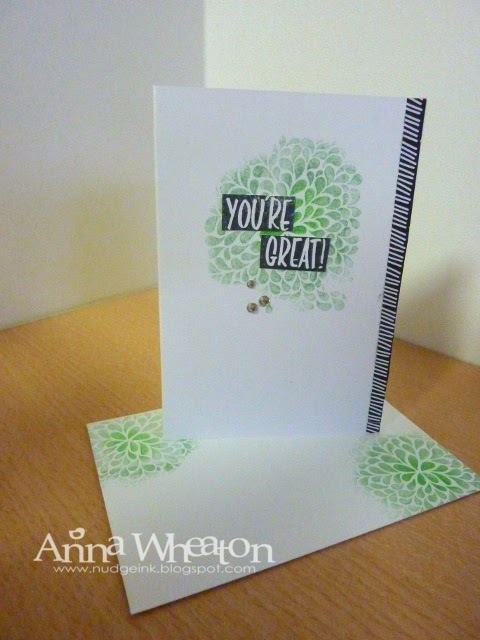 Perhaps you'd like to book a party where I could show you this stamping trick. Yup, that's a new DSP!!! All very simple to create!